Select Commercial Funding LLC, a nationwide commercial mortgage banker, refinances Maryland mobile home park with $4,000,000 loan at a fixed rate of 3.39%. Select Commercial provided the Silver Spring MD based borrower with a commercial mortgage loan to refinance the 187 unit Baltimore, MD mobile home park known as Sleepy Hollow. 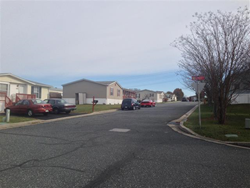 Select Commercial Funding LLC announced on Wednesday, February 3rd, 2015 the funding of a $4,000,000 refinance of the 187 unit mobile home park located in Baltimore, Maryland. The 41 acre mobile home park, known as Sleepy Hollow, was built in 1989 by the owner and contains 187 homes and parking for 374 vehicles. The mobile home community is well maintained and landscaped. Stephen A. Sobin, president of Select Commercial Funding LLC, represented the Maryland based borrower. The borrower received a 10 year fixed rate of 3.39% and a 20 year amortization. The new non-recourse loan replaced a commercial mortgage backed security loan which was maturing. The new loan provided a lower rate and a better structure than the expiring loan. The loan was originated and closed under the Fannie Mae DUS program, which provides low fixed rates and long term loans to apartment buyers and owners nationwide. Stephen A. Sobin, has over 25 years of mortgage banking experience. His understanding of the market, underwriting skills, and in-depth knowledge of lender’s requirements guarantee that his clients receive the very best rates and terms available in the market. Select Commercial Funding LLC specializes in Apartment Buildings, Commercial Mortgages and Investment Property Loans nationwide.